What are you recommendation for good headphones for digital piano? This is a question I have been asked by a close friend the other day and I am devoting this post to address the question. In the game of playing the piano, you will have to spend a lot of time practicing so that you get to the top. However, if you stay in an apartment or live with other people in the home, you may not have enough time to practice whenever you want. The noise from the neighbors or roommates that want to watch TV or listen to music or even wanting to sleep will step in your way. The greatest feature that comes with these pianos is the in-built internal jack. It gives you the allowance to plug in digital piano headphones so that you practice in a blissful silence without disturbing anybody in the environment. If you want to attain the best experience, it is not advisable to take any set of old headphones because you might not get the exact voice that you might be admiring. The right headphones for your piano sound better than the inbuilt speakers and make you feel like performing in the grand concert hall. If you want to get the best voice, it is advisable to stick to the over-the-ear, closed back headphones. They provide the most immersive audio experience, the highest comfort, and the greatest noise isolation. For those individuals that are serious about playing the piano, they need to spend time practicing, learning, and playing new piano techniques. For these people, purchasing the right headphones is vital. The best aspects about the right headphones are that they need to comfortable to the ears and should not leave you hearing impairments. Most of the modern pianos have come with jacks for making it easy to add the headphone for the ease of practicing without disturbing other people. The Sony MDRV6 has a gorgeous design and exclusive features that make to stand out from the other headphones. The design of these headphones has circum-aural ovate ear pads which isolate you from the noise in the environment. It has 40mm drivers and rock neodymium magnets that give you a high-quality sound with a broad range of sound dynamics. It also has a broad frequency response that ranges from five to thirty thousand hertz and this gives the pianist a broad range of sound while using the headphones. The style of this headphone is done with a classy and handy leather and a Sony carrying case included in the purchase package. The headphone also comes with a long copper chord that grants the user extra reach with reduced noise and maximum conductivity. They are padded and wide for making them comfortable while putting them on for long hours while practicing and listening to the piano. The design is unique because you can fold them when not in use. There is a report about sound leakage from the headphones. The Beyer dynamic 770 pro headphones come in an excellent quality and at an exceptional price for professional application. These headphones are the right choice when it comes to applications like critical listening where you require reproduction of unmatched sound. It also has an innovative design with the best sound studios and stages. The material used to construct these headphones make it durable, lightweight, and comfortable to put on for hours alongside velour ear pads. The quality of these headphones is uncompromised with all elements made in Germany. It also includes a single sided cable which makes it simple to set up and use. It works well for monitoring, recording, and production plus all other professional studio applications. They are huge, making some people not to wear them because they do not look attractive. 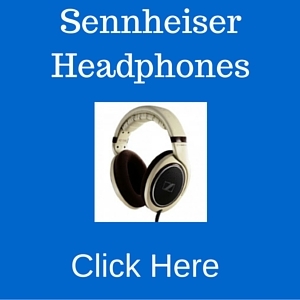 The Sennheiser is a perfect choice you need when you are a professional pianist because they are overly comfortable. This headphone is lightweight and features a circum-aural design that is excellent for noise reduction. It comes with a replaceable one-sided coiled cable plus ergonomic acoustic refinement diaphragms. The package comes with a slim line carrying case. Alongside the two years’ warranty, the HD 380 Pro is easy to use because of compatibility with the most current tablets. It has an authentic reproduction of sound handled with the ever demanding set of headphones. You can easily replace the parts of this headphone, and its shape and size make it practically perfect for multiple professional applications. It has a foldable design. The Bose quiet comfort 25 headphones are populous for noise cancellation while learning, practicing and listening to yourself play the piano. They are incredible because they are comfortable and lightweight. They have great noise cancellation features that make them perfect for any pianist or musician who is trying to focus. Even though they are quite expensive than other headphones in the market, they provide a great option when you seek to attain the best experience with the piano. These headphones produce excellent quality of audio even though they focus more on mid and high-range sounds than bass. However, the sound still possesses a natural flow and does not sound altered and synthetic. The overall sound production is quite accurate for you to practice so that you know how you will sound without the headphones. It produces the best mid and high range sounds. What to look in a headphone for a digital piano? The quality of produced sound by the headphones is the most important, but comfort needs to be put into consideration. You need to consider comfort especially if you are putting them on for an extended period when performing and practicing. You need to ensure that the headphones have quality adjustability and padding features so that whenever you are putting them on, you do not have an uncomfortable feeling. Many headphones come with an impressive quality of sound alongside comfort over the pianists’ ears. 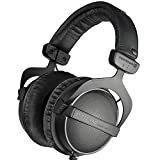 Regardless of your budget, you can get a pair of headphones that is within your range of price. However, if you want headphones with great features of sound and comfort, it is important to do in-depth research. The creation of expensive headphones is done with durable material and produces better sound than cheap ones. You need to look at your budget before settling on the earphone of your choice. This feature is very vital for a headphone. Headphones that have this feature detects the noise from the outside and cancels it so that the user does not get confused. This feature has significance for individuals that are practicing or learning the piano in noisy environs. Also called noise isolation, it reduces effects that come from external noise. These headphones require a source of power like batteries. No headphones pair can last longer than one decade, and it is, therefore, important to consider your headphones quality. You need to find earphones that are robust and can serve you extensively. Wireless headphones are operated with batteries and are powered by the Bluetooth technology. When you are connecting them to the piano, you do not have to connect wires thus saving you the trouble of using cables. You need headphones that have a single cable so that you avoid dealing with probable accidents and tangles while handling them. Ease of storage and portability is a feature you need to put into consideration. If your headphone possesses a folding design, you will have the ability to store it well and limit the chances of breaking or damaging it. It will also occupy less storage space. 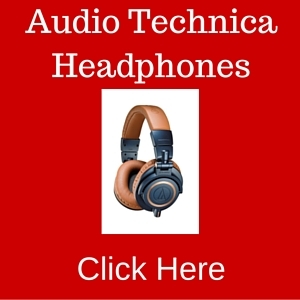 When choosing the right headphone type to buy, sound stands out as an unusual aspect of the headphone. You should not overlook the quality of audio because your headphone has to deliver sound that is completely balanced in terms of bass, mid, and treble frequencies. Richer and deep sound is the most appreciated and a more natural sound is ensured with the back of the headphones being open. However, with this type of the headphone, there is a lot of sound leakages. Conversely, for an environment that is noisy, choosing the closed back ones is right as they will prevent sound leakage. Before purchasing your headphones, you need to ensure that your desired headphones have an adjustable soundstage.